Oil on gallery-wrapped canvas. 30"x24". 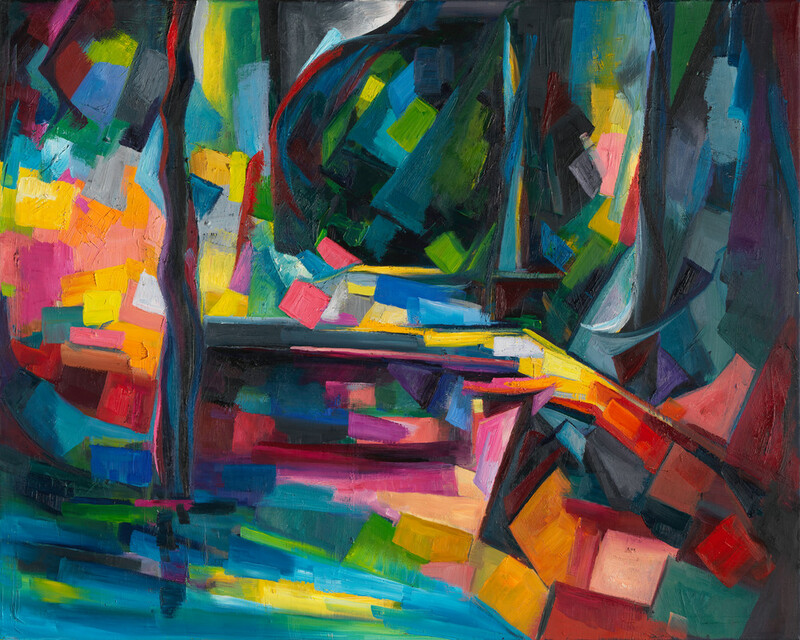 This painting started as a study of Paul Cezanne's landscape, "Pont de Maincy", and transformed into a more abstract exploration of Time and Space. It is included into "Unbroken flowers: Elegy in Colour for Rainer Maria Rilke and Marina Tsvetaeva" (2018). Oil on gallery-wrapped canvas, edges painted in matching colors. Hanging wire attached. Please contact me if you have any questions.